The future of the Spanish government is uncertain after the Esquerra (ERC) party has ruled out any possibility of backing the general budget for 2019, as it currently stands. They are seeking amendments to it. Without support from the ERC and also from other Catalan pro-independence parties, the Socialist (PSOE) party will fall short of the majority needed to pass the expenditure plan in the Spanish Congress. ERC’s decision to reject the budget deals a major blow to Prime Minister Pedro Sánchez, who came to power last Spring with the support of Catalan and Basque parties, following a no-confidence vote against the conservative Mariano Rajoy. For months, the central government has been trying to secure the votes from Catalan parties, which in turn demanded ‘gestures’ towards their self-determination aspirations and their leaders incarcerated for calling an independence referendum in 2017. With the trial against jailed independence leaders due to start on 12 February, tensions between governments in Madrid and Catalonia are set to run high again after a modest improvement in recent months. The first crucial vote on the Spanish budget will occur on 12-13 February, when the Congress in Madrid will decide whether it accepts it for consideration. The other Catalan pro-independence party, PDeCAT, insisted on Monday that it will also reject the spending plan if the Spanish government does not accept launching a ‘negotiating table’ over the self-determination issue. 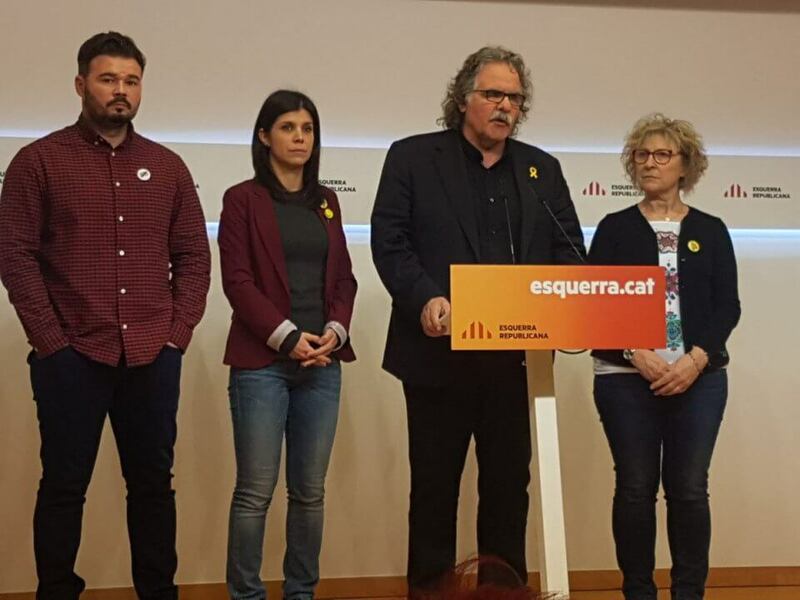 Meanwhile the Catalan Socialists (PSC) said it is ‘against Catalonia’ to reject the budget and highlighted that the pro-independence parties will end up voting the same as the unionist People’s Party (PP) and Ciudadanos (Cs).